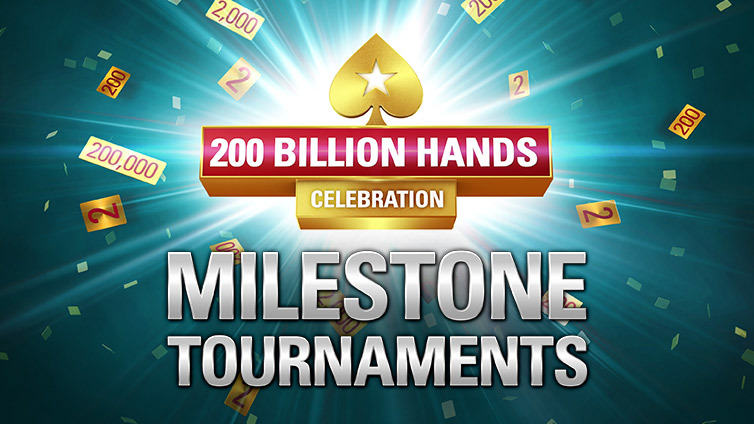 Hand 200 Billion is almost here! Claim your share of more than $1,000,000 via exclusive offers! Open your lobby, register for your favourite games, and get ready. 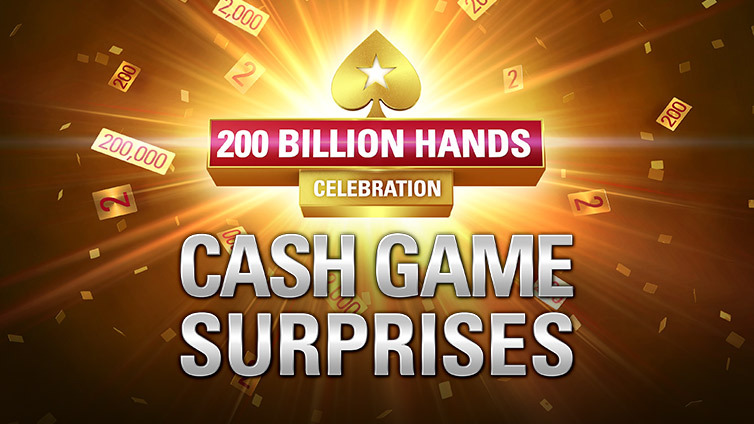 The 200 Billionth Hand is coming - make it one you'll never forget with 200 Billion Hands Celebration offers where we will be giving away more than a million dollars in free giveaways! But $10,000 isn't the only prize you can win. Read on for more offers coming your way from April 15. Plus, don't forget: you can win up to $3 Million in limited-edition Spin & Go's running now! Log in and play a single hand of poker to get a new reward, every day. Over $650,000 in prizes to be given away - win up to $2,000 each time. 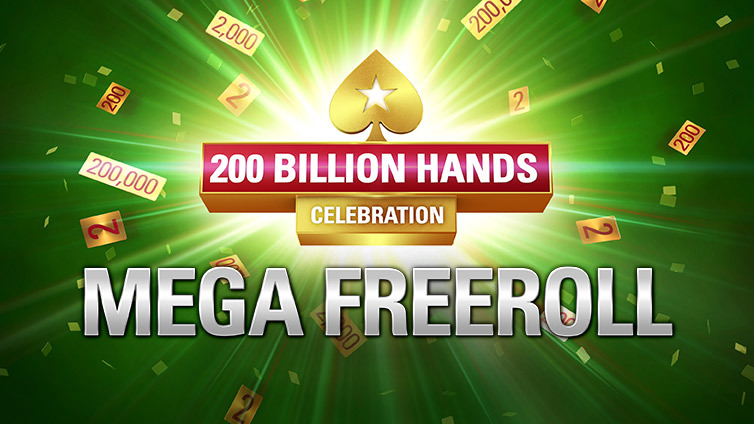 Grab a slice of $200,000 in the 200 Billion Mega Freeroll! Play a hand at any real money table before May 1 for your chance to qualify. This Promotion takes place from 00:00 ET on April 15 – 23:59 ET on May 1, 2019 (“Promotion Period”). 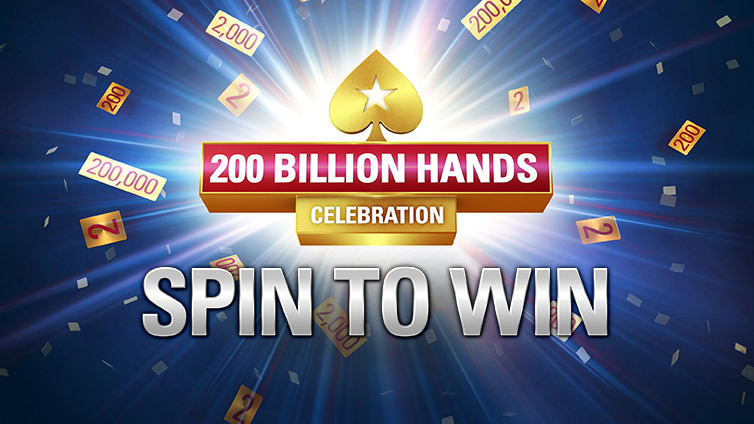 Throughout the Promotion Period, we will offer random reward prizes from our 200 Billion Celebration Wheel (“200 BCW”) which will be displayed on the 200 BCW window in the Client. have a chance to win additional reward chests (“Chest”) at our cash game tables on the Client during specified times on the “Cash Game Surprise” web page. At least three players need to be dealt into the real money cash game hand to be eligible for a Cash Game Surprise. All rewards that form part of this Promotion will be credited instantly after the spin on the 200 BCW and will be yours to keep, with no restrictions or earning requirements.